NOTE: This is a COLLEGE ONLY event. This is NOT AN AMATEUR event. Please read the details and confirm you are eligible to play. If you are a Coach or Alumni of an ECRC team, the Elite Divisions will be renamed Alumni/Coaches Division. Please e-mail Rob at vanschalkwykr@hotmail.com with any questions. The 2018 ECRC Northeast Collegiate Regional Championships will be held February 23-25, 2018 at the Warren Health & Fitness Club in Warren, NJ. This is a USAR sanctioned event and membership is required. If not a USAR member you must purchase membership. For those under 24 years of age and younger, you will be subject to a $25 USAR Collegiate Membership fee. Anyone who is over 24 years of age at the time of the event, you will be subject to $50 Adult membership fee. Membership is good for 1 calendar year and allows you to compete in any USAR sanctioned event. There is no weekend pass and no exceptions. USAR Membership is Mandatory! All USAR rules and regulations apply. This event is a stand-alone event and is not part of the (4) four ECRC meets that consist of the ECRC season. The final event of the ECRC season is Meet #4 at The Court Club in Albany, NY on January 26th through 28th. This is a COLLEGIATE EVENT ONLY. We do offer an Alumni/Coaches Division for those who wish to play while supporting the teams over the weekend. In order to play Alumni during the event, you must be available to play Friday evening and enter the Elite Singles &/or Doubles Divisions. Questions, contact the Event Director. Entries to Alumni/Coaches will be limited. APPAREL: WearRollout.com will be set up and selling clothing/apparel needs. Check them out! We strongly urge you to go through both of them for your needs as they both make it easier for all of you to play during the ECRC season, at various events outside of the ECRC & they both make the ECRC Northeast Regional Championships a Collegiate event like no other! 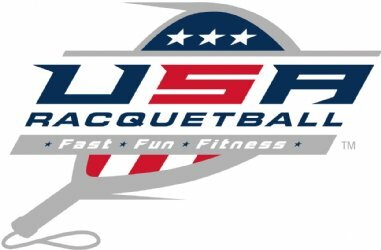 Special thanks to RacquetWorld.com for their continued contributions over the past 30 YEARS, making it possible for any Collegiate student to step onto a court and try the sport of Racquetball. Make sure you thank both the RacquetWorld and WearRollout staffs for their charity and support. The banquet Saturday night will be at the host hotel, TBA. The banquet open at 6pm and on Saturday, with dinner sometime beginning around 7:30. Immediately following dinner, we will have the Awards Ceremony, including the annual awards for the ECRC Newcomer of the Year, the Most Improved Player, Team Spirit Award, 2017-2018 Coach of the Year, Daren M. Hidalgo Sportsmanship Award and your 2017-2018 ECRC Most Valuable Player. We will cap off the awards with another induction into the ECRC Hall of Fame! The ECRC Hall of Fame inductions are bi-annual and we are very excited for this special occasion! Following the Awards Ceremony we will open up the dance floor and will play plenty of music until we shut it all down around 11:00. Banquet entry is included for all tournament players participating in the event and can be purchased for $20 at the tournament desk or upon entry to the banquet for all guests.